In fall 1995, Alok Nandi had the idea of setting a place/website which was the intersection of the web and the reseau of the Obscure Cities. Nandi already knew Benoît Peeters from contacts for a book Nandi has written about the meeting between Satyajit Ray and Hergé 1). Alok Nandi contacted Peeters and proposed to work on a website. At the company Switchon, a friend of a friend provided the server space and some technical help. Nandi chose the images and he wrote the text. This first version of the website was launched in December 1995. In the first approach, the site “Urbicande” borrowed a lot of Le Guide des Cités. The site showed information on several Obscure cities and persons. Most of the images were borrowed from Le Guide des Cités. 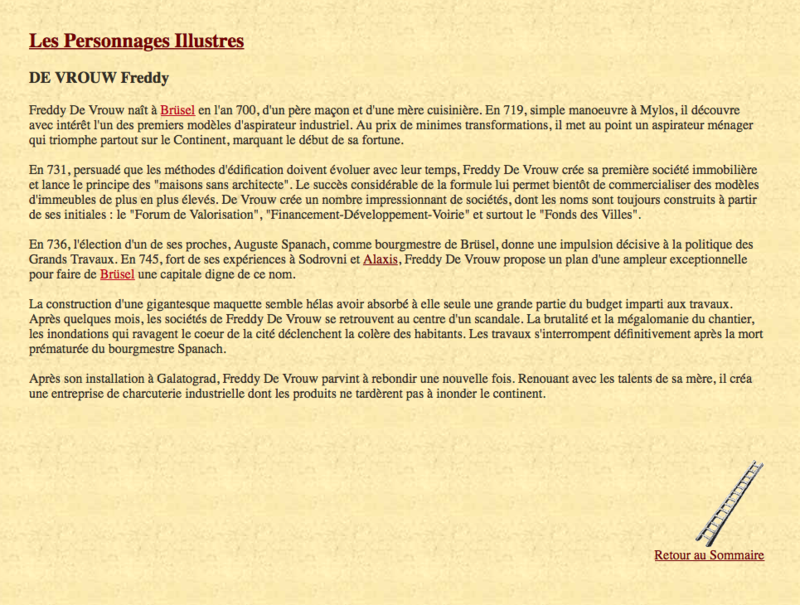 The website showed also two pages of the homage of Schuiten to Little Nemo. 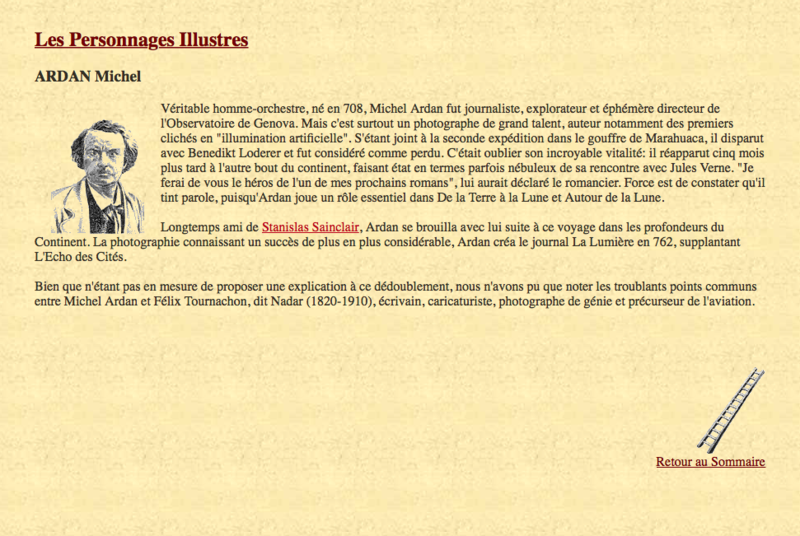 Also a short introduction to L'Enfant Penchée was added. This was the beginning of the prototype of the site. Schuiten and Peeters liked the approach and this news went to the publisher Casterman. 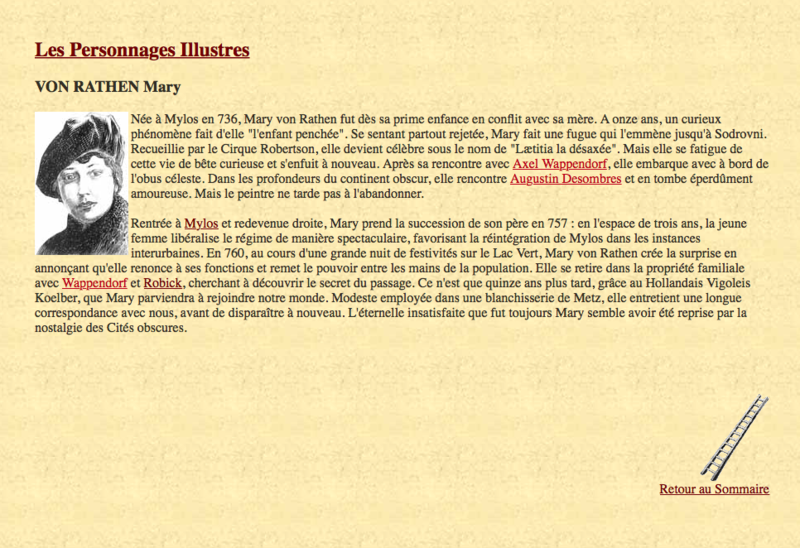 See some screenshots of this very early stage of the urbicande.be website. Remember that this website was made only two years after the release of Mosaic, the first graphical web browser.